This item requires custom measurements! Please fill in the Order Form prior to making the payment. We will get back to you with our acceptance confirmation as well as payment info after reviewing your exact requirements. 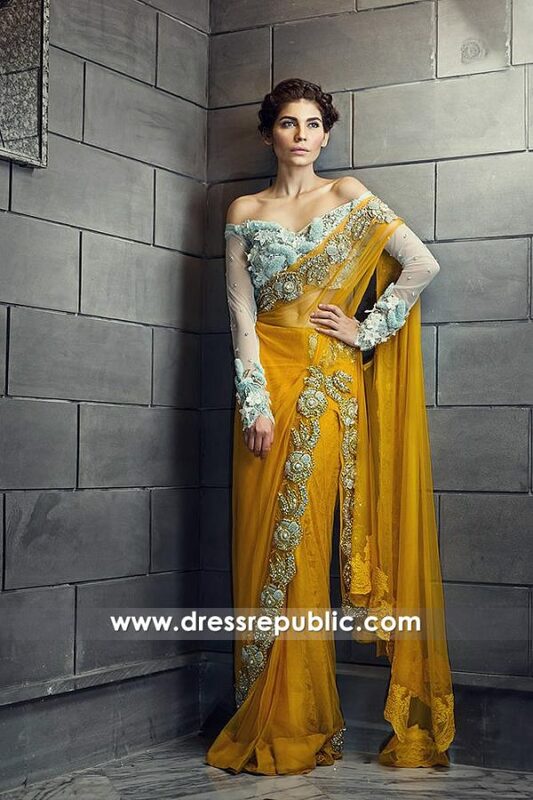 Payments for big orders and bridals accepted via Bank Wire Transfer only. To order fabric/embellishment swatches please click here. 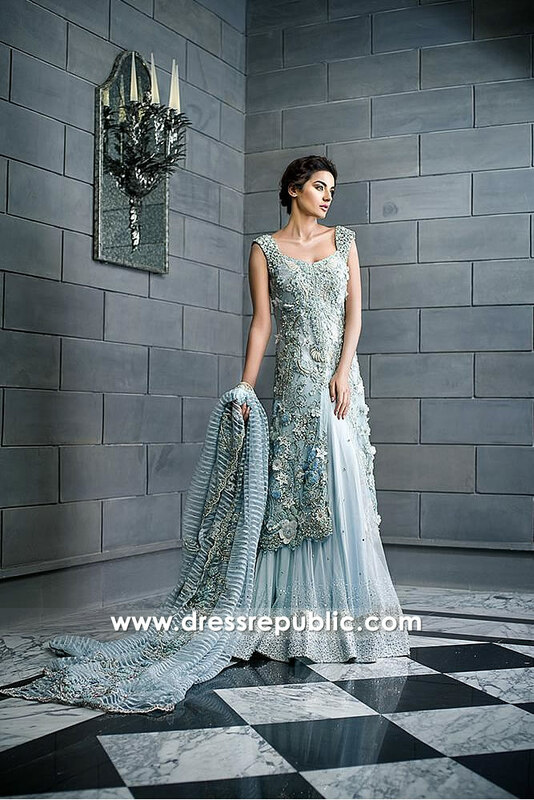 Ice blue tulle net front slit long overcoat has stunning 3D and floral embellishments work. Organza and silk flowers among heavy diamantes shower. Square neck; Sabrina neck; Scalloped hemline. Tulle net flared lehenga skirt has pearls and bead border all around. 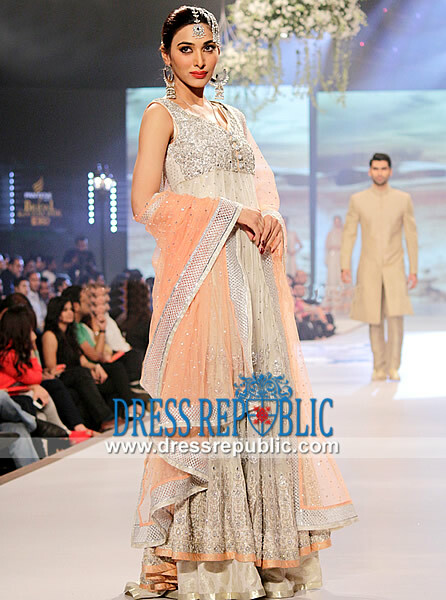 Organza striped dupatta with intricate floral work on edges. 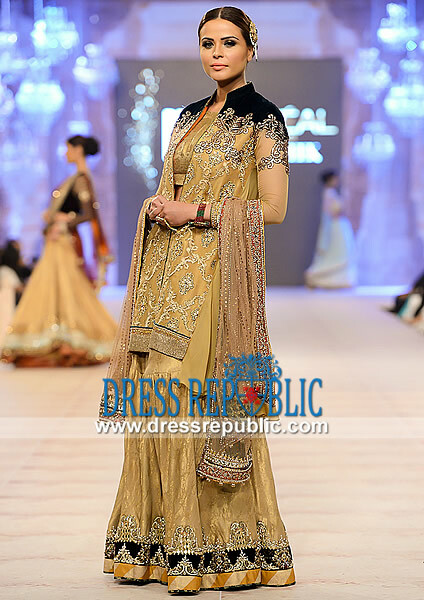 Embellishment work includes organza, sequins, beads, Swarovski crystals, diamantes, kora, dabka, naqshi, cut-glass, pearls, resham, zari, synthetic gemstones, zari, French knots and badla.